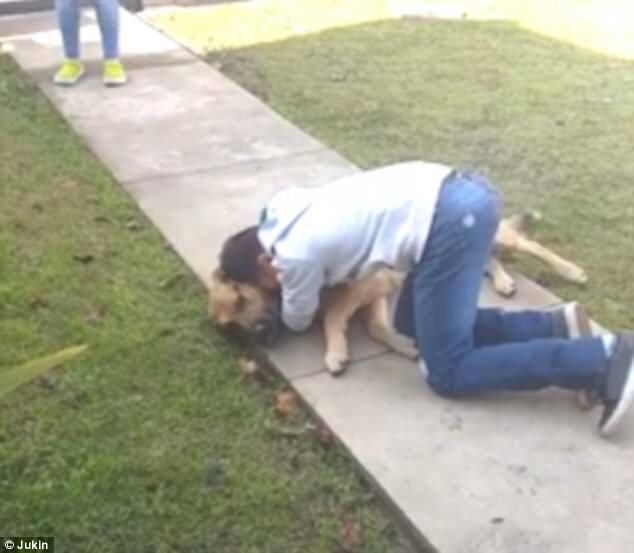 Heartwarming footage has captured the emotional reunion between a dog and his 11-year-old owner after going missing for eight months. Jack had gone missing eight months but never gave up hope of finding him. A friend was able to find the dog in a gas station and brought him back to the family following a desperate search. 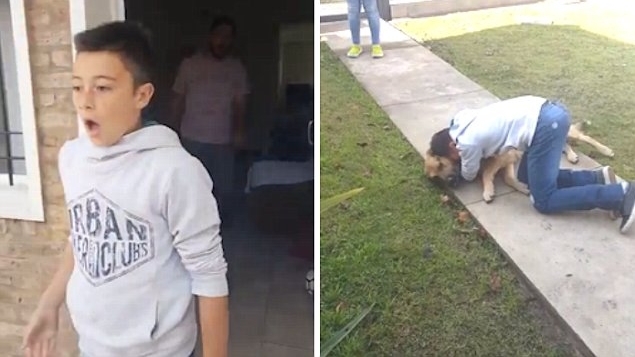 In the video, which was filmed in Pergamino in the Argentinian province of Buenos Aires, the boy is pictured leaving the house after being called outside. When he sees his beloved pet for the first time since his disappearance he can barely believe his eyes. 'Jack!' he shouts, before rushing to hug the long-lost dog and bursting into tears of joy. He is then comforted by his father and the woman who brought his pet back home. According to reports, the boy is a fan of animals and also owns a lizard, a horse and two birds. But the boy has a special relationship with Jack since the family got him four years ago, and the pair have been inseparable. The video has been shared widely on social media, racking up thousands of views across the globe. Responses to " Heartwarming moment a boy breaks down in tears in an emotional reunion with his dog"